Before using the HDMI converter card, please set up your camera first, set its resolution as auto. Setting up way for 5N and 5R is similar. Please turn off the camera before you plug HDMI converter card. 1) Don’t connect the converter or any cable to the camera before the process. Set up HDMI resolution to AUTO, saved, then quit the set up menu, and turn off the camera. 2) Connect the HDMI converter or the related cable, turn on the camera, it will work normally. 3) If no image is appeared, please check and see if the resolution set up is on “AUTO” state, that is to say, we need to check whether the step one is completed and saved or not, and then start working. If it still does not working, please repeat the step (1). 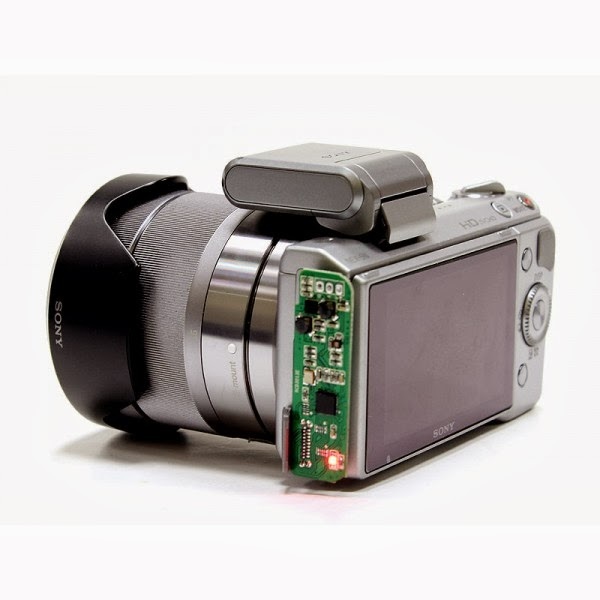 4) For those very special and few versions of cameras, according to our experience, those SONY cameras sold in France, needs to set up PAL, the reason may be related with its firmware. 1) Many customers normally would like to connect the converter with the camera first and then set up AUTO resolution, it is a mistake, because the set up will not be succeed in this way on most cameras. You must disconnect the HDMI converter and related cables and then do the set up, saved, and then turn off the camera. 2) There is signal output, but the screen is rolling and turning, the reason is that the output of our converter card is PAL signal, the monitor the customer are using needs be able to support PAL signal too.